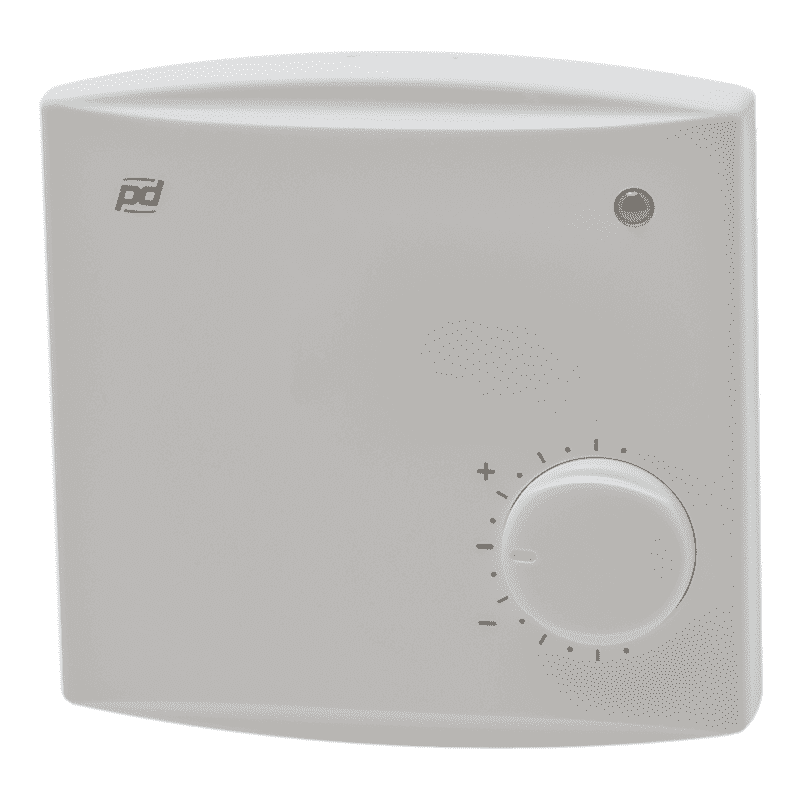 HLS 21 is a two stage controller for individual room and zone temperature control applications. There is one thermic actuator stage for both cooling and heating. Temperature is detected by the internal (or external) NTC 10 sensor. The space temperature is maintained at the set point by modulating the position of the actuator to meet the cooling (green light) or heating (red light) demand. 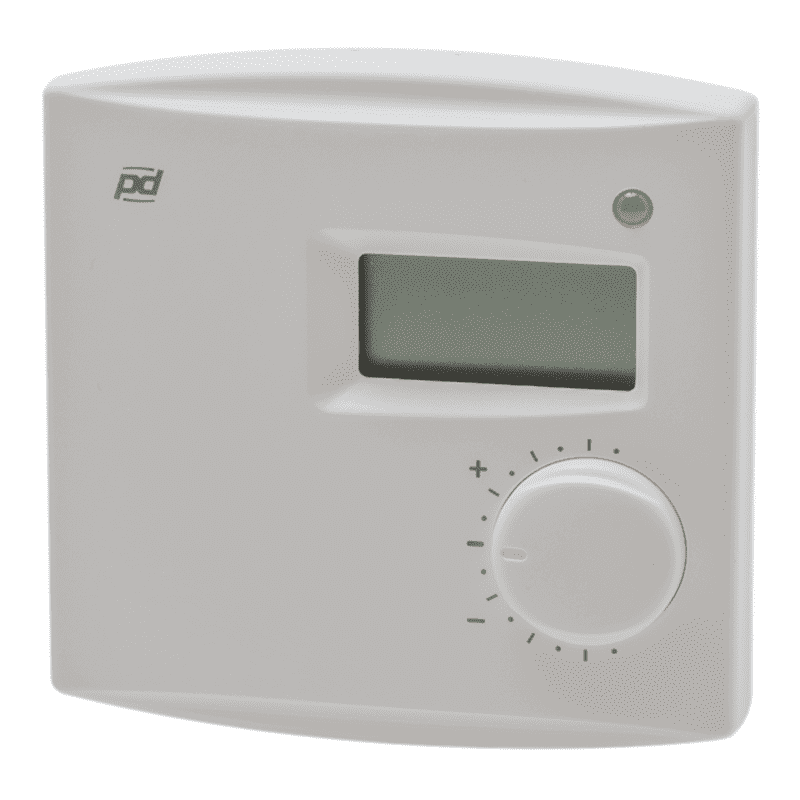 The dead zone (no red or green light) between heating and cooling is adjustable (0…3°C).